This entry was posted on Friday, December 18th, 2009 at 4:16 pm	and is filed under Audio. You can follow any responses to this entry through the RSS 2.0 feed. You can skip to the end and leave a response. Pinging is currently not allowed. 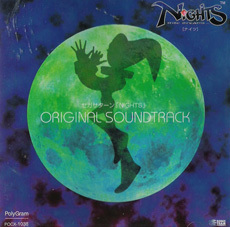 In "NiGHTS and Reala: Theme of a Tragedic Revenge", is "tragic" spelled wrong on purpose? Tragedic means "of tragedy", which would be correct. Not "Theme of a Tragedy Revenge", which makes no sense. If that's what you're referring to. Awesome to hear those Nights tunes again especially Dreams Dreams. Nights Into Dreams, such a epic game that pushed not only the way we played games but also the technology that drove them……..Sonic team at their finest. gotta ask..is there any sheet music available for NiGHTS that you know of? I just love the music so much!!! My fav song is Growing Wings! It's got a good tune. The song your looking for is called 'Peaceful Memories'. It's on YouTube. I absolutely love this soundtrack! Especially the Mantle! (I've actually learnt the bass line for the Mantle). JACKLE DA MAD MANTLE IS IN THE HOUSE!!!!!!!!!!!!!!!!!!!!!!!! !